A powerful hybrid adhesive and sealant for a weatherproof, flexible, UV resistant bond. 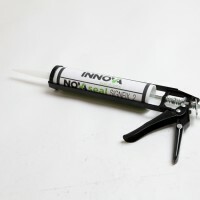 Indoor, outdoor, and with a unique formulation that even works on damp surfaces, NovaSeal SignFix 2 is the signmaker’s clear choice. Why NovaSeal SignFix 2 polymer adhesive? 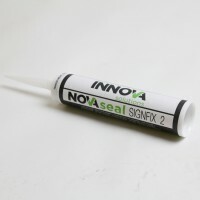 When the perfect finish demands a clear, shadow free bond line, choose NovaSeal SignFix 2. Its near invisible finish when illuminated shows your work at its best.